Practicing the questions which have the maximum possibilities to come in the question paper is the basic strategy that each and every students opt while preparing for the board exams. Well, if you agree with this then what you need is class 12th last year Physics question paper. And that is exactly what is given here. Now, don’t think that this question paper will prepare you for the exams, but it is just a first step that you took in order to prepare for exams. The real challenge starts now. 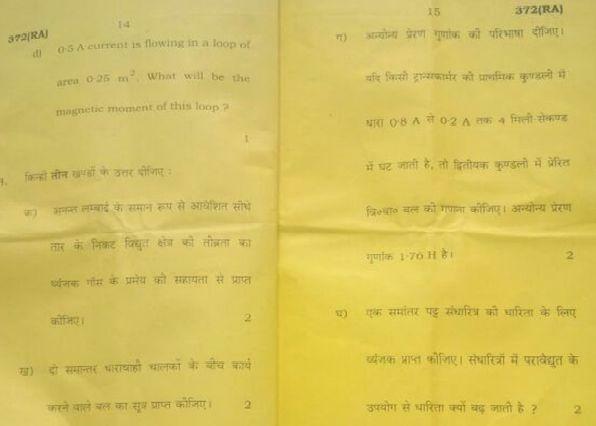 Not just you have to go through this question paper, but you will need to do your research too.